The Managed Services Programme is a testament to our channel commitment and it redefines the meaning of a programme. 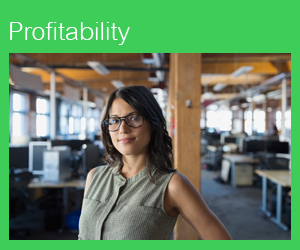 Within the MSP Programme, APC by Schneider Electric is taking a holistic approach to better enhance several areas of the business to enable and grow recurring revenue streams for our partners.This includes enhancements to product roadmaps, RMM and PSA integrations, technical support, incentive programs, and pre-sales & post-sales support. This page highlights some of the specific enhancements and programs we’ve implemented. Click here for 5 Things You Need to Know about the Programme. New Managed Services Discount for bundling Smart-UPS, Network Cards, and Warranties. Recurring iRewards Bonus points for managing APC products. Financing Options through IT Distribution. Web Based Certification Training that is On-Line, On-Demand, Relevant, & ConvenientLog into your personal page here. Preferred Partner Support Line. Click to learn more. Although all partners are welcome to take the Managed Service Provider Training, many of the discounts and incentive programs exclude Direct Market Resellers, National VARs, Electrical Distributors. Contact your local APC rep for details or questions about availability.